Diogo Guimaraes gained his LMD qualification in Portugal in 2007. He enjoys all aspects of General Dentistry, and keeps up-to-date with current materials, techniques, and practices. Graduated in Portugal 2005 University Fernando Pessoa Oporto. Enjoys all aspects of General Dentistry, having a particular interest in crowns and veneers. Much of Joao's Cosmetic Dental Education has been completed at London Eastman. He is a valued member of our team. Languages spoken by Joao are English, Spanish, Portuguese, and French, and a little Italian. Luis Miguel Póvoas is originally from Portugal, where he attended Fernando Pessoa University from 1998 to 2004 to gain a DDS in dentistry. After working as a dental surgeon for 4 years in Portugal, Luis decided to move to UK, where he was an Associate General Dental Practitioner in the Bristol area, before joining Family Dental Practice in Westcliff. After having obtained his degree, Luis started his clinical activity in Porto Military Hospital (Portugal). It was here where he started his activity in Implantology, taking advantage of the team of clinical excellence and vast experience in the areas of Oral Surgery and Implantology. His wealth of experience includes previous clinical dental positions at the Military Hospital, Clinical Coordination of Dental Students at the Ambulatory Project of Oral and Public Health, at the University Fernando Pessoa (Portugal), Clinical Management and Exclusive Clinical Practice in Oral Surgery, Dental Implantology, and Fixed Prosthodontics (Crowns, Bridges and Veneers), and Training of Dental Students in Angola. Concomitantly Luis completed several courses involving various implant systems which includes Nobel Mentor course from February 2005 to February 2006, Oral Surgery, Oral Medicine and Cosmetic/Aesthetic restorations. The constant quest to deepen his knowledge and achieve excellence led Luis to start a Post Graduation Diploma in Implant Dentistry (3 years) at Eastman Dental Institute, a world renowned institution. At this moment Luis is near to complete the second year of this PG Diploma. Luis enjoys all aspects of General Dentistry, but has a keen interest in Aesthetic Dentistry, Oral Surgery, and Dental Implants. Fernando Vieira graduated with his DDS from UFP university in 2004 and is a specialist in endodontics from UFF university ( Brazil/ Rio De Janero ) in 2006. Master in science in endodontics from UIC (Spain/ Barcelona) in 2010. Fernando has a special interest in Endodontics. Alena Martinho started her dental career after graduating in 1996 with honours as a dental therapist. She occupied this position for a number of years and then carried on her studies at the Byelorussian State Medical University; where she was honorary student and completed her studies with the highest grade possible. After qualifying as a stomatologist/dentist, Alena completed her vocational training and worked in several prestigious private dental clinics. She also spent some of her time working as an emergency dentist in the hospital. And was later awarded a prize in paediatric dentistry and received a certificate in cosmetic dentistry. Since moving to England, Alena supported her qualifications by successfully passing the International Dental Qualification Exam from the General Dental Council in 2010. She is a member of British Dental Association and she has successfully completed a course in cosmetic dentistry for 'smile make over' and has a special interest in endodontic and pediatric dentistry. In 2014 attended a periodontal course for treatment of gum diseases. 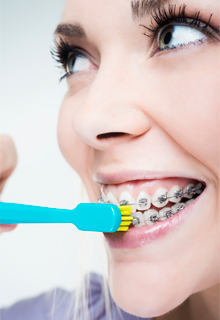 She is also certified in orthodontic treatment using Inman Aligner and offers all aspects of general dentistry, both private and NHS, for both adults and children. 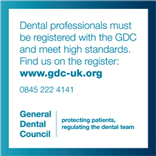 She is a regular attender of postgraduate courses, to keep up with the latest advances in dentistry. Sergio Barreto Prata graduated from Brazil Federal University in 1979. He obtained the equivalent diploma in Lisbon University 2010 and has been working in UK since 2011 as General Dental Practitioner. Sergio is specialized in Bauru University San Paolo as a Periodontist. Languages spoken; Portuguese, English, and Spanish. Thiago grew up in Rio de Janeiro, Brazil, but moved to the UK 2005 to complete his University studies. In 2012, he was awarded a BSc degree in Biomedical Sciences by King's College University of London. He decided to continue with his studies in the Southwest of England, and in 2016, he completed his Bachelor of Dental Surgery (BDS) degree in Devon (Exeter/ Plymouth). Thiago has a broad interest in all aspects of general practice, and always aims to provide care of the highest standards to all his patients. Thiago speaks fluent English and Portuguese, and has a very solid knowledge of Spanish. This allows him to communicate to a vast range of patients in their native language. Outside the dental office, Thiago has a varied range of hobbies, which includes: swimming, running, socialising with friends, travelling, playing the piano, learning different languages, DIY, and handcrafts. Shirin qualified as a Dental Therapist/Hygienist from Leeds University in 2007 and has since been working as a Dental Therapist/Hygienist in NHS and Private dental practices. Shirin can speak Farsi in addition to English and places a special emphasis on communicating well and taking excellent care of her patients. Rabia Sayed is a GDC registered dentist, having cleared her Overseas Registration Exams in 2015. Prior to this, Rabia did her Bachelors In Dental surgery from Pakistan in 2008. Rabia has also completed numerous courses on different aspects of dentistry including orthodontics and periodontics and is currently undertaking a diploma in Aesthetic & Restorative, which she plans to convert into MClinDent. Rabia has been working as a hygienist all across London and has 7 years of experience in dentistry and hygiene work. She is familiar with all aspects of dentistry including implants, crown and bridge work, orthodontics and her work is of a high standards. In her free time she enjoys travelling, swimming and yoga. She speaks several languages including English, Urdu, Hindi, Pushto, and Punjabi.